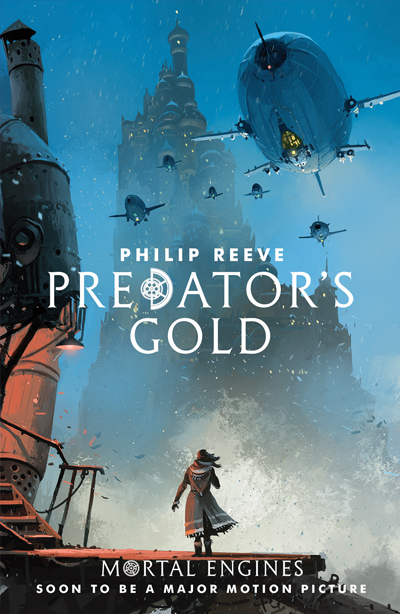 This is book 2 of the Mortal Engines Quartet. For convenience, here is a link to my review of book 1, Mortal Engines, which I posted a month ago. I'm going to start this review with a note about a changed name. The books were originally released in the UK with a character named Shrike. For the initial US release of the books, that character was renamed to Grike. I didn't run into this during the first book because the post-movie release of Mortal Engines had renamed Grike back to his original name, Shrike, to match the movie. The version of book 2 I read hasn't been reverted, and I was legitimately dismayed that the name of the character had changed. One I looked it up online, it made sense, but it was a bit distracting. Very early in the book, we are introduced to a character named Nimrod Pennyroyal who is described as an adventurer and autobiographer of his adventures, and the reader is also given clues that Pennyroyal is not actually an adventurer at all. By the fourth chapter, I was annoyed by the parallels of this character to Gilderoy Lockhart, the autobiographer character from the second Harry Potter book, Chamber of Secrets, and that annoyance never fully left me. The overall plots are different enough, that I was able to enjoy the twists and turns along the way, and by the 2/3 point of the book, I was invested in the ending despite the book's OTHER major flaw. Hester, who was introduced in book 1 as a self-actualized, scrappy adventurer, was arguably the main character of that book. For this book, she is reduced to a collection of petty jealousies. It feels like the character became a shadow of her former self, and worse, this jealousy is used as a major driver of the plot. Ultimately, the first book was sold in the US as a Young Adult adventure, but it didn't feel like it was conceived or written for a young adult audience, which was part of its magic. Sadly, this second book definitely feels like it was written with a young-adult audience in mind. Not that it was written for young adults, but written for what someone thinks YA fiction should look like. That said, the world building is still first rate. Outside of Pennyroyal, the villains are believable and even sympathetic. It's the heroine that becomes hard to sympathize with. Like I mentioned above, I was eventually invested in the story, but I can't recommend this book. As a complete-ist, I will probably read the other two books, and maybe even write about them here, but I'm not in a hurry to run out and find the next book in the series. This is a different kind of book about business management. This book is not about success, at least not an initial success. Instead, this book is about continuing to succeed after that initial success. It does this by talking very candidly about narrowly averting complete failure. The very beginning of this book does capture the early history of Pixar up through the release and success of Toy Story. The only management lesson I think it was trying to tell is something like this: Get a group of talented people together, give them the honest mandate that quality is priority and you have a gamble. Maybe magic will happen, maybe everything flails around and nothing gets built. Like I said, this book isn't about that initial success. When a book talks about something I know about, in this case management, I look for it to help me put a name or framework to practices that I have found successful. I often know something works and can usually replicate it, but - when I don't fully understand something, I find myself repeating a ritual, instead of understanding the essential steps. When I read How to Make Friends and Influence People, for example, I learned a lot about what I already did right, but I learned even more about the essentials. I was able to demystify the things I did right, and stop wasting effort on things that were needless parts of my repeated ritual ... things that most likely annoyed people. Creativity, Inc. was written to let me know that the rituals I repeat to try to repeat a successful behavior may be more harmful that helpful, with examples (and a lot of them). There are absolutely successful behaviors described here, but the big theme is learning to find balance in agility. That is, change is necessary while stagnation is certain death. Yet, change without balance is chaos. Creativity without deadline is unlikely to ever complete, yet deadline without flexibility will lead to rote repetition, burnout or both. Trust your people, but hold them accountable. Accountability means that they must have the power of open and constructive input. This book has a very clever style of writing. It talks about a number of management strategies illustrated through a memoir style, The Making Of ..., most of Pixar's movies. That is the story of how Toy Story 2 was made is also a cautionary tale of employee burnout. The making of Inside Out is a tale about how constructive feedback works, while the making of a story that ended up cancelled entirely is a tale about how to feedback done wrong, or too little, does lead to failure. There is also a bit of interesting insight into Steve Jobs in here. 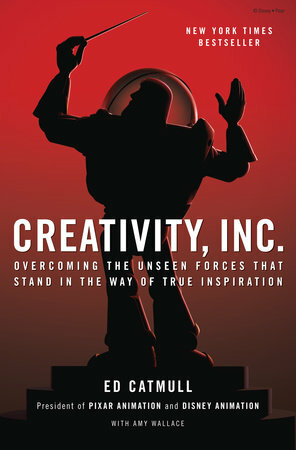 Yes, I recommend this book if you, like me, are really into Pixar. Definitely read this if you are a Steve Jobs completist. I recommend this book if you want to read good narrative advice about running a creative and productive team. Skip it if neither management nor animation are of interest to you. Yet, even from a story perspective, a good half of this book is great narrative storytelling wrapping around a lesson on team management.